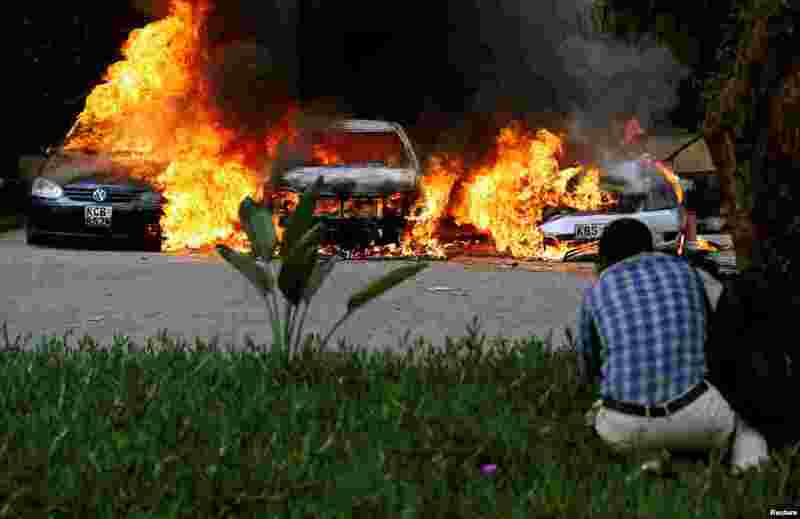 1 Cars burn at the scene of explosions and gunshots in Nairobi, Kenya in an attack claimed by the the militant group al-Shabab. 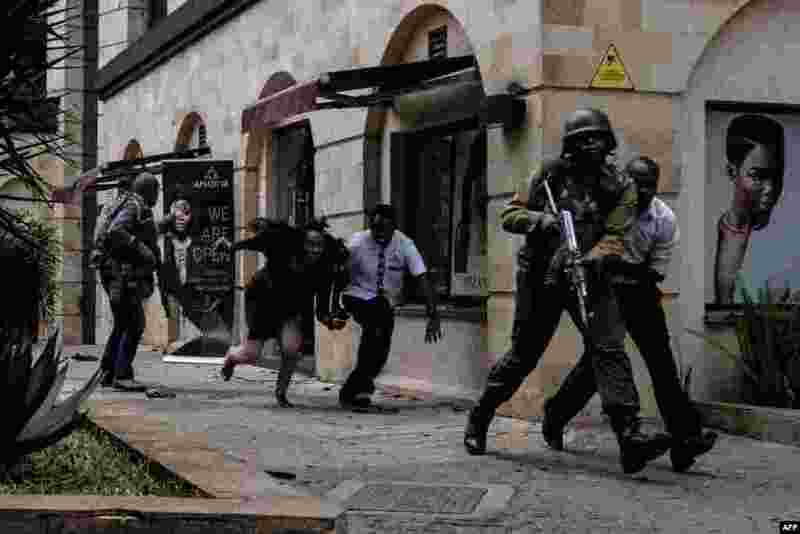 2 Kenyan security forces help people to escape after a deadly bomb blast and terrorist attack at the Dusit D2 Hotel in Nairobi. 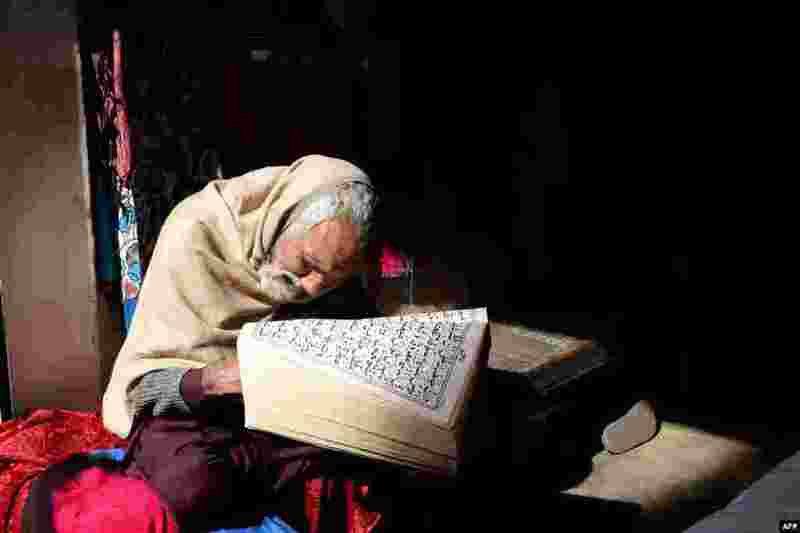 3 A Pakistani vendor of women's clothes reads the Koran while waiting for customers at his shop in Lahore. 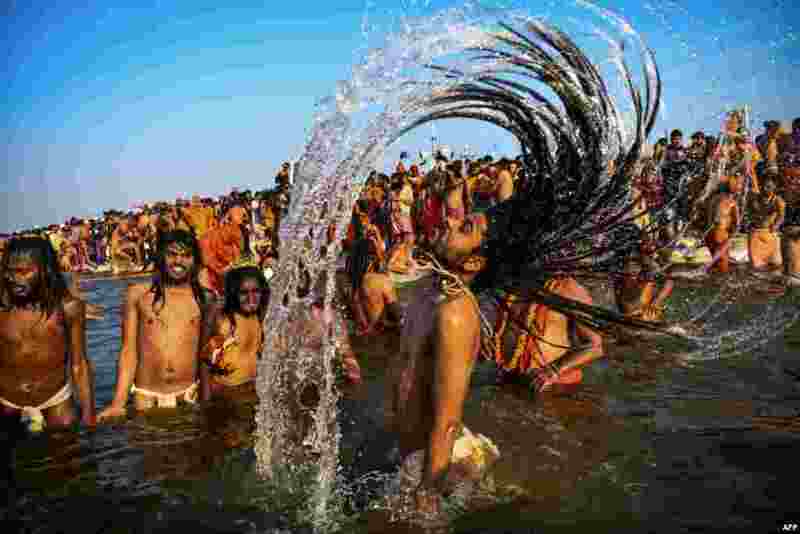 4 Indian sadhus (Hindu holy men) in the water of the holy Sangam — the meeting of the Ganges, Yamuna and mythical Saraswati rivers — during the auspicious bathing day of Makar Sankranti at the Kumbh Mela in Allahabad.